1.2 meters in height and complete with Storage Pocket, nylon cord and signal whistle. 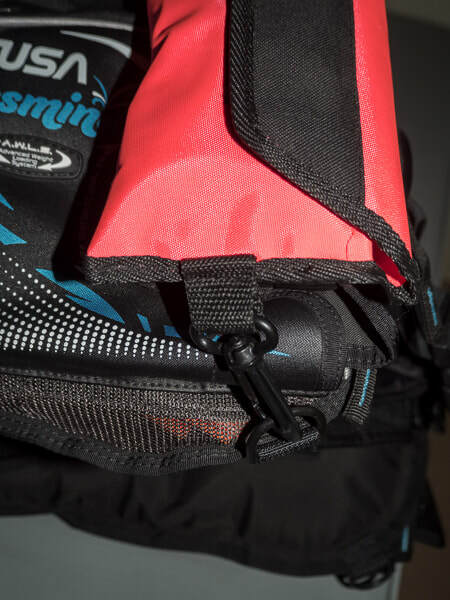 Can be attached to most BCD's via two built in clips (see photos below). 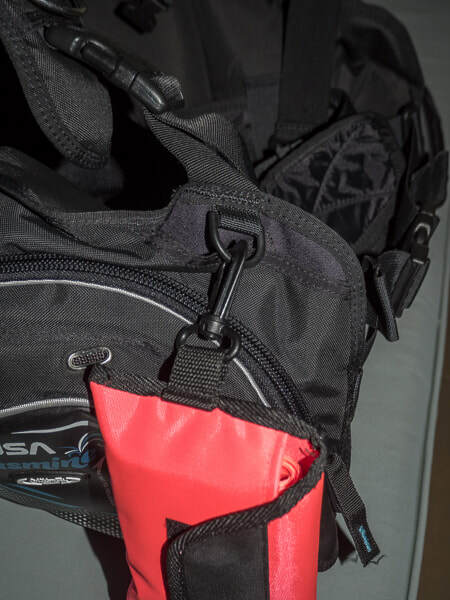 Easily removed from the pocket and deployed without needing to rumage around in BCD pockets. This Surface Marker (often referred to as a Safety Sausage) is used to mark the position of a diver either at the surface or it can be sent up from your safety stop. By marking your position from your safety stop, a dinghy driver or boat can see your position minutes before you surface. 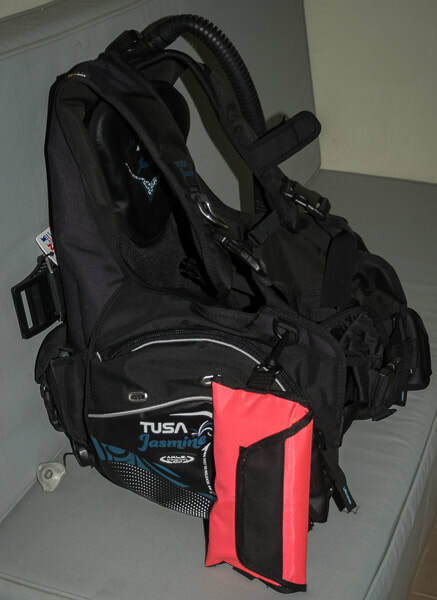 In the event of being seperated from a dive group or you drift away from a dive site in a current, this simple device can easily be seen from a distance, unlike a diver who at the surface is very difficult to spot.